As my kids start to take to drawing, I’ve thought about what they would look like if I “cleaned them up”. 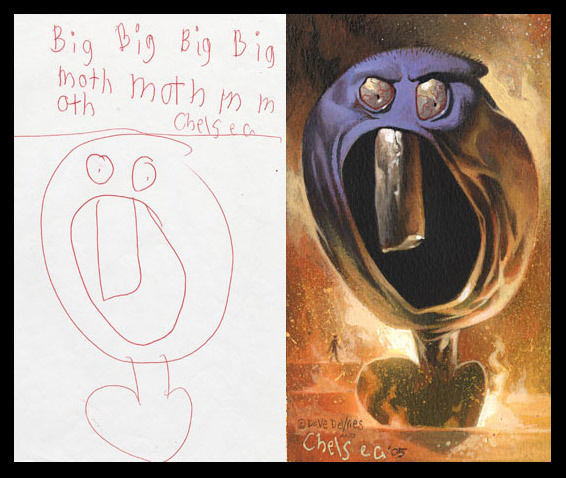 Dave Devries took that idea one step further and re-illustrated kids drawings. The results are both stunning and disturbing. Check them all out here.